The nine-show series will begin with the first of three concerts in Germany when the Florida rockers play Erfurt on June 17; the run will include appearances at Belgium’s Graspop Metal Meeting and Switzerland’s Rock The Ring festivals before the group play four UK events that will wrap up in Birmingham on June 30. 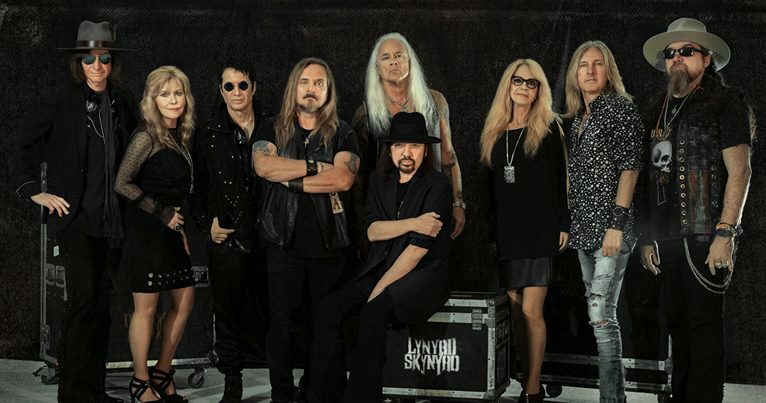 Lynyrd Skynyrd will be joined by guests Blackberry Smoke in Germany and Status Quo in the UK. Tickets for the summer 2019 shows are now on sale via the usual outlets. The European leg of The Last Of The Street Survivors Farewell Tour will follow on the heels of a recently-announced spring run across Canada. The farewell series is named after the 1977 album, “Street Survivors”; just days after its release, Lynyrd Skynyrd’s chartered airplane crashed near Gillsburg, MS en route to a show in Baton Rouge, LA, killing the pilot, co-pilot, the group's assistant road-manager and three band members – frontman Ronnie Van Zant, guitarist Steve Gaines and backup singer Cassie Gaines.